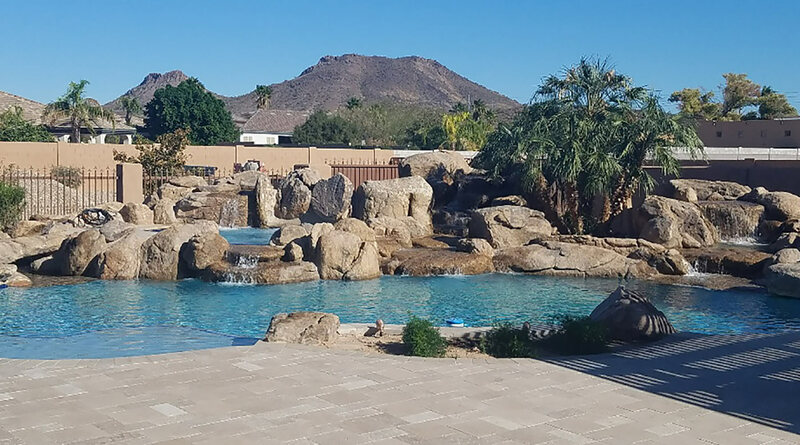 With over 20 years of experience, we have become the experts in pool water features and waterfalls. Our team of professionals deliver the highest quality customer service and promise to help you with every aspect of your project from design stage to final installation. When you work with us, you know you’re getting the best. Are you ready to see what we can do? Contact us today for a free custom quote. Browse our gallery to find great ideas for your water feature project. Compare sizes, styles and colors of rocks to find the perfect look for your dream pool. Rockwork's sense of design is incredible. We are very pleased with the outcome and love our new back yard, patio and water feature. Jason’s sense of design is incredible. He has a very good eye for what will work best in your environment and how the components from travertine to landscape should work together to make a coordinated impression. Having a single contractor responsible for the whole job was important to us. Rockworks proposal and quote was very detailed, had computer drafted design renderings of the proposed work, and was clearly the best value for the money.